As more is learned about accession of drugs into the eye, it is becoming more obvious that passive diffusion through the cornea is not the only pathway likely to be exploited for future delivery of drugs. Many drugs are known either to bind to or to be taken up by and accumulated in epithelial cells. Interesting work is emerging in the areas of facilitated transport in which enhancers are used to diminish diffusional barriers temporarily (233,234) and in the areas of active transport in which drug carriers can be employed for transport of larger molecules (230). As evermore potent therapeutic agents are developed, concentrations required diminish and importance of drug targeting, as a means of reducing systemic toxicity, increases. For biochemical and therapeutic agents included in specific classes of amino acids, dipeptides, polypeptides with resemblance to specific peptide sequences (e.g., the undecapeptide cyclosporin A), small cationic molecules, or monocarboxylates, and nucleosides, there are known transporters, antiports, cotransporters, etc., in conjunctiva and sometimes in cornea that at low concentrations of a drug may actively contribute to controlling flux into or out of specific tissues (235-239,236, p. 1436). Carrier-mediated transport is not restricted to ocular conjunctiva and cornea, of course, but has been identified in other ocular tissues, specifically the RPE, as well as in numerous systemic tissues such as gastric, intestinal, hepatic, renal, and cardiac tissues, and in some ex vivo cell culture lines. As a consequence, information concerning structural and geometric specificity, co- or counterion requirements, proton and energy dependence, pump capacity (saturability), total ion flux and current, and directionality of mediated transport have been provided by biochemists, physiologists, and pharmacologists studying a variety of human and mammalian tissues. where /max is the maximum saturable flux from the active transport process, Km the Michaelis-Menten constant, and Kd the passive diffusive permeation rate (236, p. 1436). Note both Km and Kd are temperature dependent; however, the temperature dependence of Km is much greater, so that the diagnostic for the presence of active transport is the essentially complete loss of the active component by the time the temperature is reduced to 4°C. Some measure of the importance of active transport is the diversity of systems where it has been observed. For example, carrier-mediated transport of L-argenine, a substrate for nitric oxide (NO) synthase, can impact the concentrations of NO, a neurotransmitter. The same carrier, present in the conjunctiva, can be inhibited by competitive inhibitors such as nitro-L-argenine. This transporter appears to be coupled to the transport of Na+ ions, and directionally transports the inhibitor preferentially into the tissues from the mucosal exterior surface. The utility of such a path might be to regulate production of NO in vivo and thereby control inflammation, a complication, for example, in Sjogren's syndrome. The potential for delivering a therapeutic agent to the uveal tract is also promising. Nucleoside transport for uridine has also been demonstrated to have similar directionality, preferential flow from mucosal to serosal, or apical to basolateral, sides of the conjunctival cells. Its role is presumably to salvage nucleosides from the tears and might be able to be exploited for compounds with antiviral activity. Not all transporters, however, show the same preferential directions. Lee and coworkers also have discovered a pump glycoprotein in the conjunctiva with preferential flux directed toward the mucosal side of the tissue. This transporter has been shown to restrict conjunctival absorption of therapeutic agents, cyclosporin A, verapamil, and dexamethasone, for example. 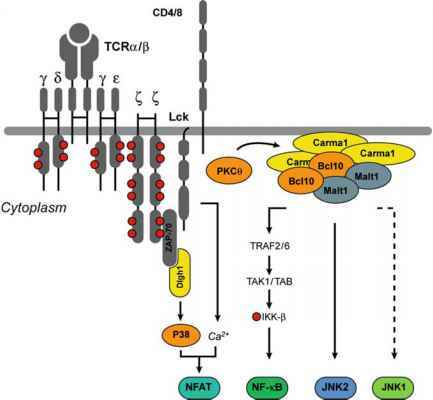 In some circumstances, transient inhibition of such xenobiotic transporters might be an effective means of increasing the efficacy of particular classes of therapeutic agents.